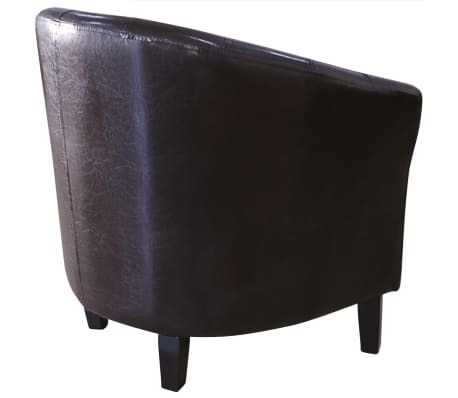 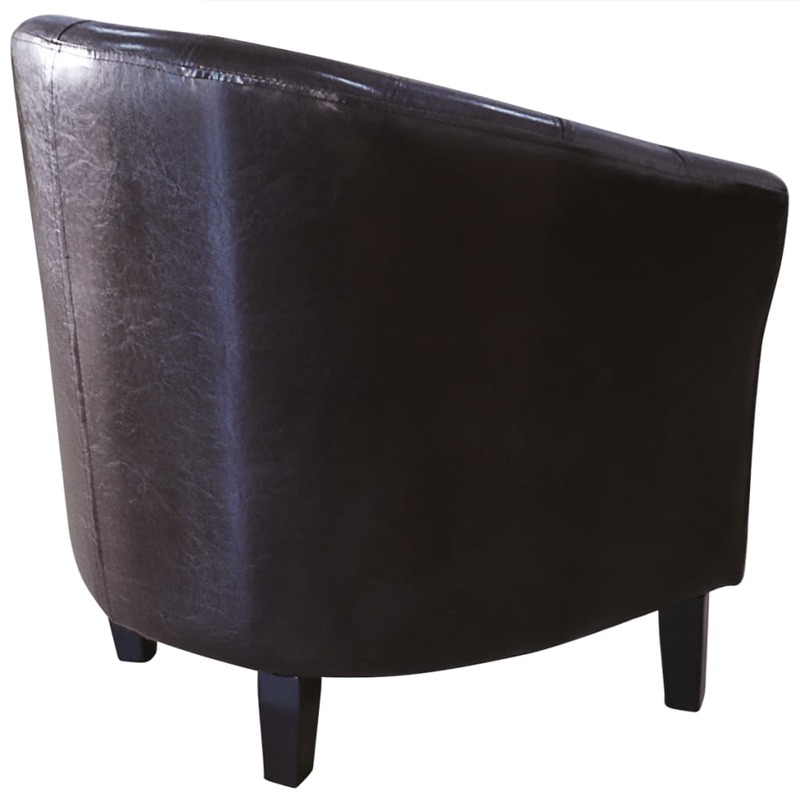 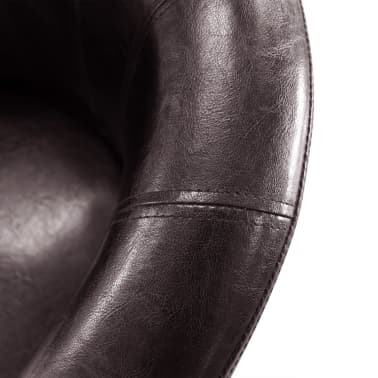 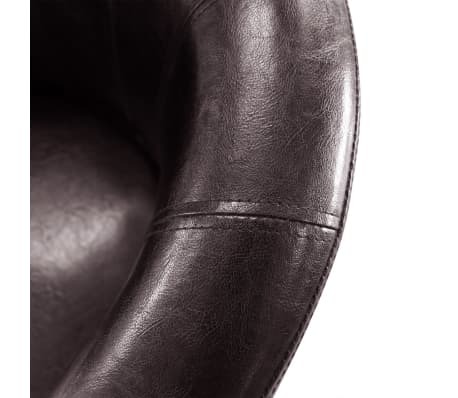 This artificial leather tub chair has a timeless appearance thanks to its retro styling. Made from high-quality pinewood and WPC, this tub chair has a strong and sturdy wooden frame. 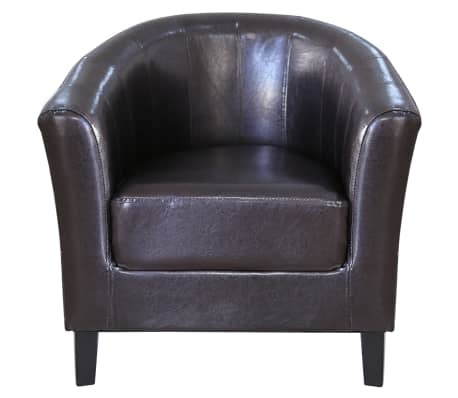 Upholstered in high-quality artificial leather, the seat is padded for added comfort. 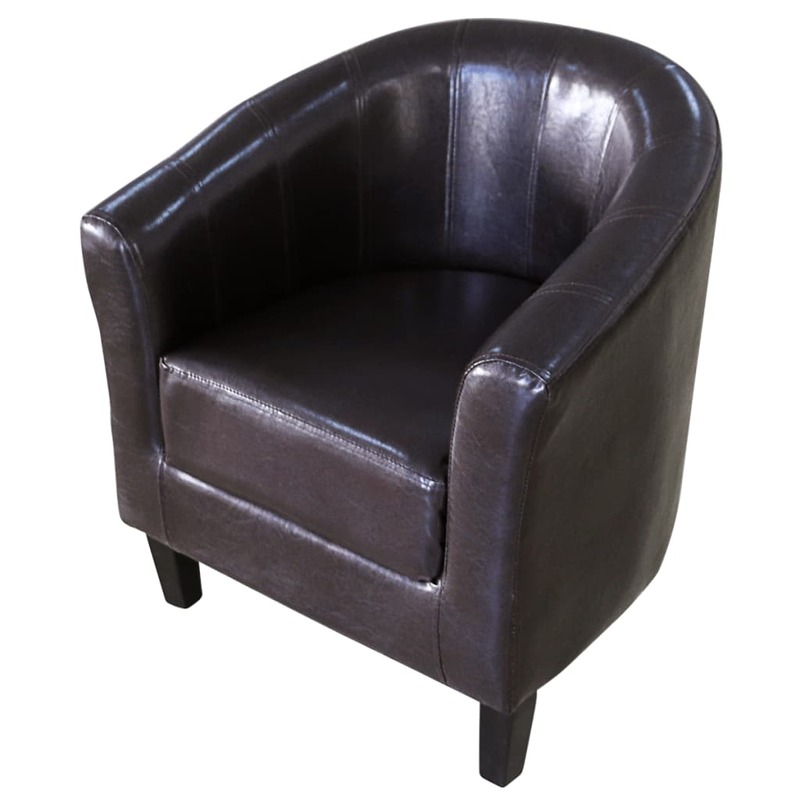 This chair will add a touch of cool retro style to your living space! 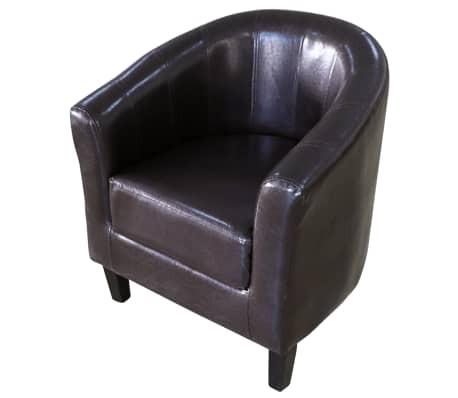 It can also be used as an elegant office chair. 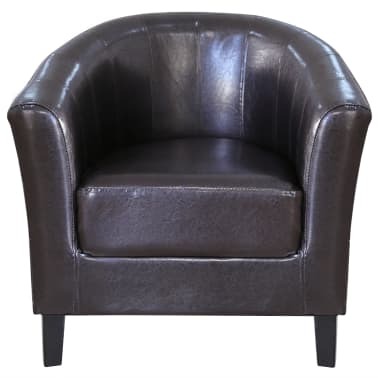 Delivery includes 1 brown artificial leather tub chair.